· Fulfilling Conduct Expectations, including adhering the uniform and tznius standards, and derech eretz. 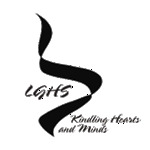 · LGHS reserves the right to withhold a diploma if the student has shown behaviors inconsistent with the values of the LGHS community. · Overall Grade Point Average (GPA). Any student who has less than 75% GPA at the time of graduation is not eligible to receive a LGHS Diploma. She will be eligible to receive a “Certificate of Attendance” as long as her attendance record and participation in class warrant it. 1. The grades earned in a class are weighted the number of times per week the corresponding subject is taught. (E.g. since Chumash class meets five times per week the Chumash grade is weighted five times, English meets three times a week, it is weighted three times.) All grades are averaged; that number becomes the student’s GPA for that trimester. 2. At the end of the year, the GPA of each trimester is averaged together, and that becomes the student’s GPA for the year. 3. Each year, the GPA is recalculated to come up with a cumulative GPA. 4. At the time of graduation, the GPA must be a 75% or higher to earn a diploma. · During the school year, she will need to work harder to bring up the average next semester. · At the end of the year, if she still has not passed, she will be given make up work to do over the summer. She may only earn between a 60%- 75% for that work, no more. Summer work is due before school starts and may incur a fee. -We hope that everyone will!